With Father’s Day only a few weeks away, I have once again scoured the internet and brought you the best of the best! 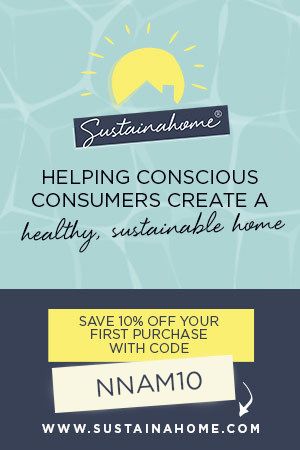 Natural, organic, fair-trade, recycled… all the things I love. This amazing fragrance has a cult following! With all natural ingredients, this musky scent will have people asking Dad what he is wearing. Get it here. 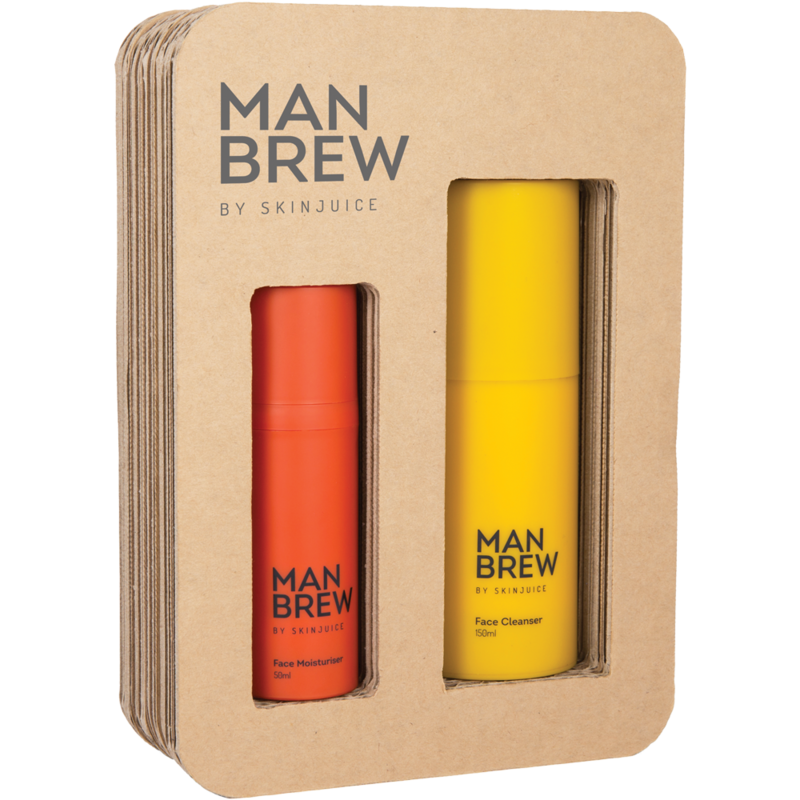 If you want to get Dad into some natural but still manly skincare, you can’t go past Man Brew by cool Aussie company Skin Juice! Specially formulated for males, it contains a face cleanser and moisturiser, using all natural ingredients (including turmeric and charcoal!) Get it here. 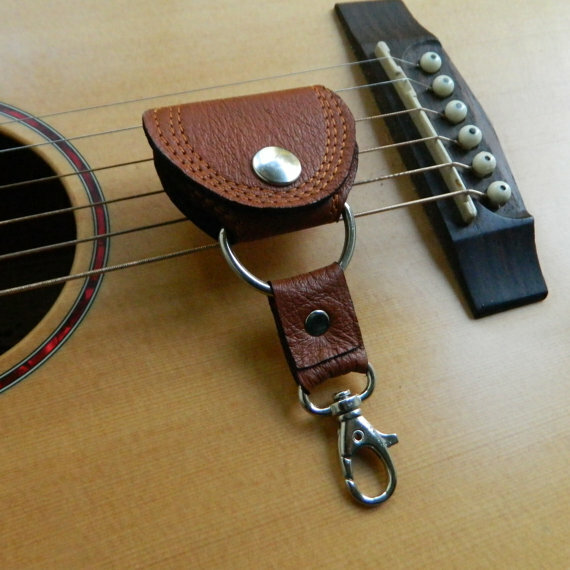 Never lose another guitar pick again! This cute pouch comes with a clip so you can pop it on your key ring, bags or guitar case. Actually, you don’t even have to use it for guitar picks, you could put anything in there! Handmade in Australia from recycled leather. Get it here. These wrought iron pots and pans are taking Australia by storm! 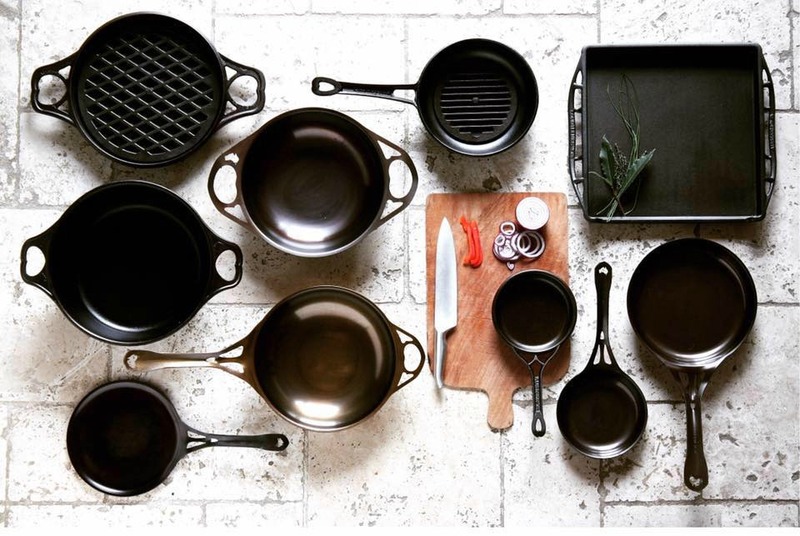 If Dad likes cooking, he will love these Aussie-made pans. They are great quality, toxin free and non-stick once seasoned. Check out the range here. 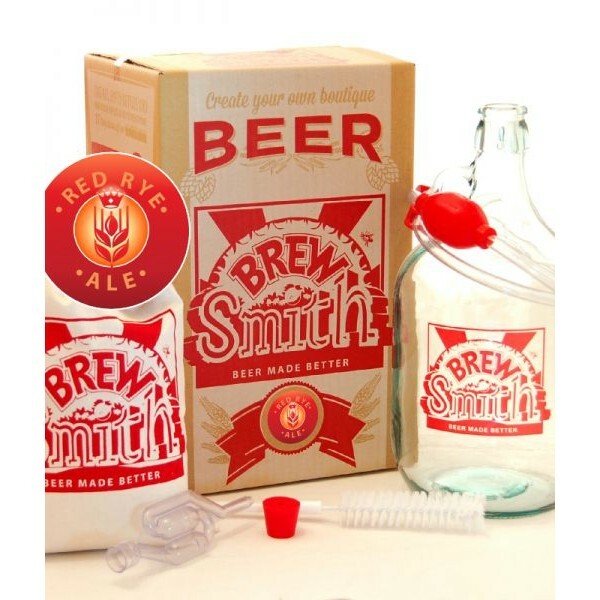 Get Dad this Home Brew Kit so he can make craft beer at home! The kits have top quality ingredients and reusable equipment. Get it here. Seriously, how has nobody ever thought of this before?? 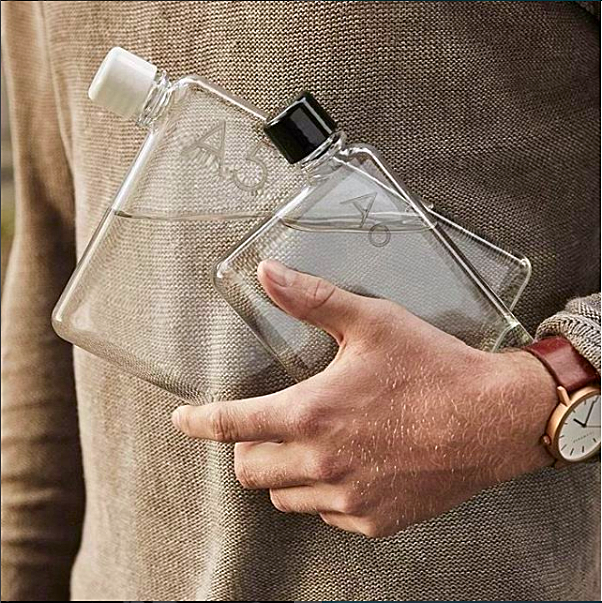 A practical, stylish and eco-friendly way to drink water on the go. Designed slimline to fit into pockets, bags and folders. Get them in a5 or a6 size here. Delicious!! 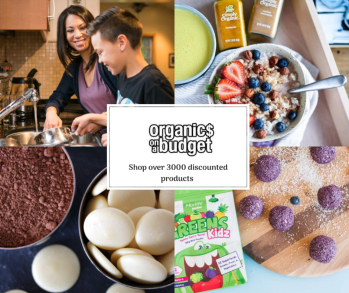 These organic, fair-trade, vegan chocolates are guaranteed to make any Dad happy. 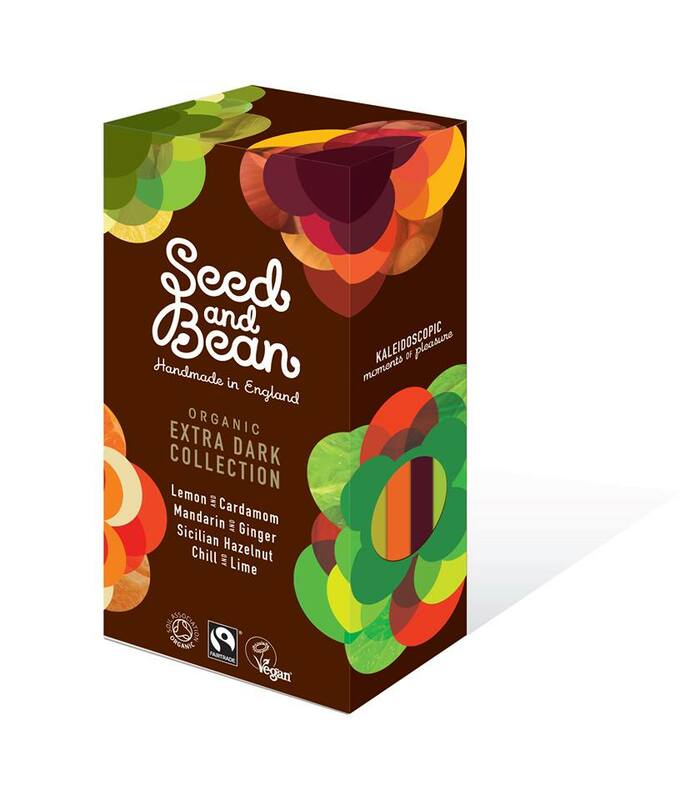 This little gift box has four extra dark flavours – Lemon and Cardamom, Mandarin and Ginger, Sicilian Hazelnut and Chilli Lime. Get them here. Got a dad that is hard to buy for? I reckon this gift is a winner! 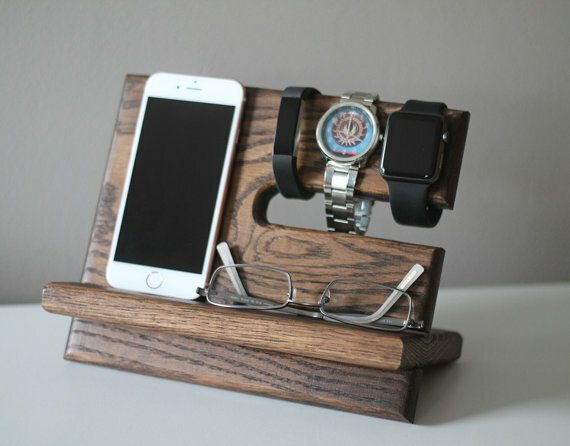 Beautifully hand made and hand stained, this wooden stand is perfect for Dad to charge his phone and store his bits and pieces. Get it here. Update: To help with shipping costs, Andrew the creator will give you the same shipping costs for two stands as for one. He will also 10% of your order and give you free initials. Just mention NNAM when you get in touch. My dad is so special because he helped raise six children during some pretty hard times in the 80’s. I love him to pieces! My husband deserves to win some great smelling scent. He holds this family together – he is the breadwinner, he (sometimes) cooks, he (often) cleans, he does the lion’s share of grocery shopping AND he helps our 2 girls get ready for dancing competitions and TAKES them (and is a dedicated ‘Dance Dad’) – all to give me some ‘me’ time for studying (nutrition). He’s a fab dad! I wouldn’t have survived this parenting gig without my husband! He’s such a wonderful hands on father, I couldn’t have asked for a better partner in crime :). 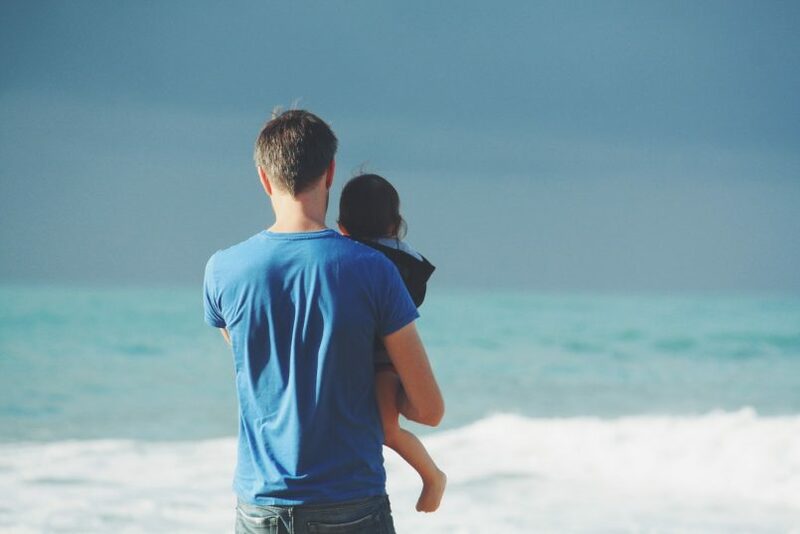 Thank you for the contest – my husband is special because for the past year and a half he has lived and worked overseas in both Chennai and Qatar. He spends 3 months away at a time, to date he’s only been home 5 weeks this whole year! He continually puts himself last to provide for us and working in 50 degree heat while walking a crazy amount of kilometres everyday, he has lost a lot of weight. Thankfully he will be returning home next month and it would be lovely to give him this gift on Father’s Day. We have a toddler and another baby on the way. This would make a great present from them. He works so hard, so selflessly. He definitely deserves a gift. Love my sensible, logical thinking, kind, caring hubbster…keeps me grounded! His love for his children and granddaughters shines out..for all to see. He calls himself a ‘snag’…his sense of humour is so much fun! Dad always puts others first, especially my sister & I, he deserves this special scent! Yikes Sonia, these gifts are awesome! My husband is my rock and I would not be able to do this whole parenting gig without him. Three cheers for Fathers Day! Great post! I’m looking for some grooming products for my dad! Any good recommendations? My dad is special to me as he is the person who has influenced and enlightened me most! My husband is awesome (most of the time!) He has so much patients and is such a great support with not only our kids but also extended family members. He is also very giving and if I was to win this amazing fragrance for him, am sure he would also share it with me as it sounds awesome! Fab! At long last, the toxic aftershave is all gone and no more will find its way into the bathroom cabinet. 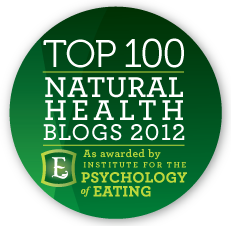 Would be awesome to replace it with this natural, safe product! I have ordered the toiletries bag from Oxfam, thanks for the tip!! It’s so cool isn’t it! And washable… so it will last forever. My husband does everything from cooking, cleaning and washing to homework and sport with the kids. Love him to bits! My husband is the most special man in my life. He never complains, has a giving and great attitude and loves his family. He will do cooking most nights as he’s the better cook, and help with our toddler, bathing, feeding you name it. His downtime is time spent with us and not a day goes by where I’m not grateful for the wonderful gift that he is. I would love this for my husband who works very hard every week to bring in the bacon. I don’t tell him nearly enough how much I appreciate it. I’ve been on the hunt for an all natural scent for my husband to wear.. This could be it!! Norm deserves to win this prize because he’s worth it! My husband is special because he is a great dad: one of those always breaking (he calls it stretching) all of mum’s rules and serious faces. So he gets me laughing and the girls are “horse riding” him, poking, rolling and farting on the floor. He’s not really the perfume type dad but it would be nice for him to wear a scent for a change as he abandoned the artificial and carcinogenic smelling stuff a while ago. To the better aroma! I’d love to win this for my father in law to thank him for raising a good daughter, my wife for me. My dad has always worked hard to raise my 2 sisters and myself and is so deserving. He has had his own businesses since I was 5 and would benefit from a natural fragrance as he has early stage prostate cancer. So the more natural the better. He is hoping to retire once he can sell his organic butcher shop in Victoria to concentrate on his health. Fantastic list! I’m loving the Recycled Tyre bag, Guitar Pick pouch and Wooden stuff stand, don’t have a father to give it to, but I could see my teenage son loving these for Christmas or birthday. PS: Actually I think I would love them for myself too! Working tirelessly to please his family. Incredibly dynamic bigger-than-life charismatic man who throws himself into everything with unfettered and unapologetic zeal and never quits. My dad makes me laugh with his bad dad jokes, is loving, works hard, is stubborn as can be and always has time for his family. Throughout my life, I have brought him great joy, frustration, sacrifice and moments of pride yet whatever I do he is always there for me no matter what. Thanks so much for taking the time to post this list Sonia! This list is so good I’m having trouble choosing between a few of them haha. My dad is my hero and I love him to death. We haven’t had the best year health wise so this fathers day is going to be extra special and making the most of every day. It’s my gorgeous man’s birthday today and Father’s Day soon…and I know he will be working through both days, getting all sweaty in the kitchen. A little smell good action would be most appreciated!! My father in law has been disabled in a wheelchair for 20 years after a car accident. He is most impossible 2 buy 4. I think a natural after shave would be a winner for him! Thankyou Sonia, This is perfect! I love these suggestions and I will definitely be using a few of them! Please, please, please do a Christmas one too! I’d love to for my hubby to win this gift for our boys to give to him for Fathers day. Juggling life in the city when you both work full time is full on and I’m lucky that he is there to put in more than his fair share of effort with it all. He cooks, cleans, picks up the kids takes them to footy training and is the best. 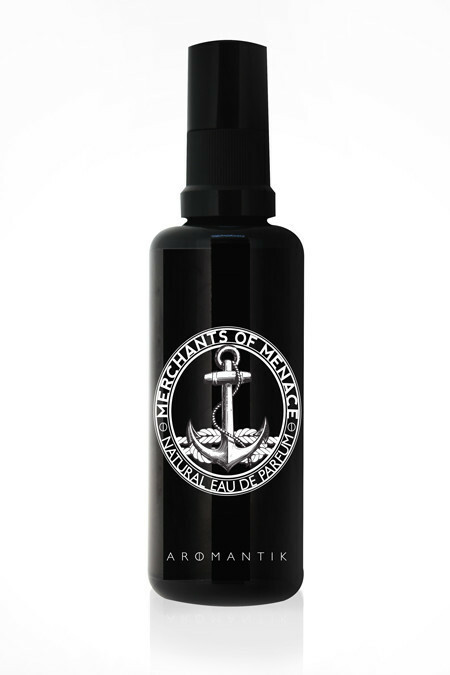 Something special like this Merchants of Menance parfum would be perfect! My husband is special as despite his average health (MTHFR homozygous mutation), he gets up every morning and goes to work and does his best to support his family of me and 5 kids. He’s patient when I’m impatient, gracious when I’m grumpy and generous when I’m stingey! He is constantly showing us by example how to be a kind, loving soul. This will be my fiancés first Father’s Day! He became a sudden father-of-four when we joined our lives together with my three children AND got pregnant all within 18 months ? He cooks, cleans, worries and loves all of the children fiercely. He also loves to smell good and is always after the perfect natural scent . My hubby is a great dad to our kids. We are unconventional parents and despite the social pressures of this, is always supportive and encouraging. Though not prefect he is always trying to be a better dad. I’m going to nominate my husband. We have 4 young daughters, whom my hubby adores, but the poor guy is constantly having to do ‘girly’ things; tea parties, fairies, dancing, teddy bear games, etc. A new ‘manly’ scent might help him to not feel so ‘hen pecked’ in this household of five girls! Daddy is a pretty special guy in this household… I’m out numbered! They say imitation is the greatest compliment…and I’m pretty lucky to observe our two little boys learning from a great role model. Parenting is a roller coaster ride – and I’m so glad I’m not doing it alone! My husband is a Merchant, providing the best love and care for me and our two little beautiful menaces. 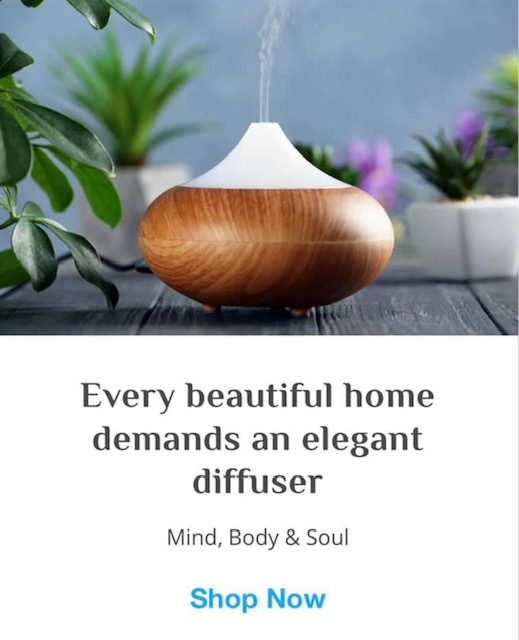 He would love this gift from us and the Natural New age mum. My hubby offers everyone he meets a broad smile, a friendly ear and any assistance that he can provide. A great Dad who is very much hands on. I would love to surprise him with this lovely gift. My hubby doesn’t spend any money on himself. Whatever he makes is given to family and charity. He is also unstinting of his time, just lavishes his immediate and extended family with love and time. Even people he meets randomly. He’s visited quite a few terminal illness cases (friends of friends) in hospital, giving comfort whenever and wherever he can to the patients and their families, and even praying with them. This is not his job. He just wants to give some comfort. He is a giver, not a taker and everyone who meets him loves him. My husband is an amazing man he works so hard for our little family. I am unable to work as I have 4 autoimmune diseases he does without so much putting everyone else first he is always under pressure at work but when he is at home he is wonderful. Father’s Day is going to be hard for my husband as he lost his own Dad just over 2 weeks ago. My husband is everything to me and my little babe. He works so hard, working 6 days a week, leaving at 4am every morning to make the hour commute to work (can even take up to two hour to get home) and is still a VERY hands on daddy, spending every minute with our little babe the moment he walks in the door until he puts her to bed. I’d be lost without him. He supports us unconditionally! And being a tradie – he could use a nice scent! Hehe ? I would love win this for my dad, something to pamper & spoil him like he deserves. He has always been there for us, helping us out. It didn’t matter if it was early hours of the morning 3-4am needing a lift home after clubbing, he would always come get us. He now has Parkinson’s Disease and has very bad symptoms and is unsteady walking, has severe tremors but he still always wants to help us out. He still tries to build us things like he did before his Parkinson’s, you maybe wanting months and months and it may not be the best job but I still cherish the items.